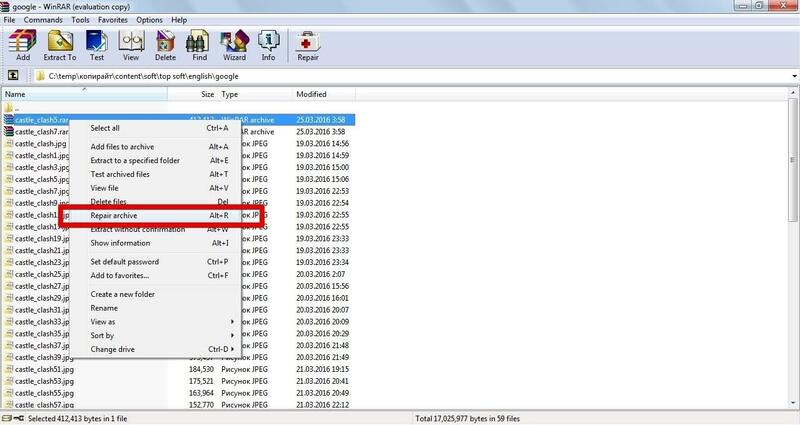 What is checksum error in WinRAR? I have a problem with CRC error in WinRAR. What is it and how to fix it? If you have downloaded an archive and discovered CRC error while opening RAR file, then some bytes of information were missed. WinRAR can check the checksum to notify about missing parts of your archive. 1) This error can be caused by a file downloading interruption. So, you should try to download this archive again. 2) If it didn't help you, you could right-click on your corrupted archive and select Extract files. Then find the Miscellaneous section in the General tab. And check Keep broken files option. 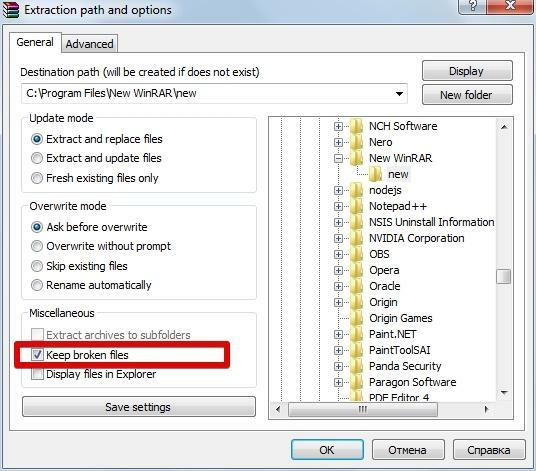 3) You can use WinRAR repairing function, as the alternative method. Open the WinRAR manager and right-click on your archive. Then select Repair archive option, choose a folder and press OK. However, this method doesn't work if your archive file hasn't recovery record. Also, you can use various recovering tools as RAR Recovery Toolbox. CRC stands for Cyclic Redundancy Check, it is an error notification usually encountered while WinRAR file extraction. CRC is an algorithm which checks the checksum bit of the source and downloaded WinRAR file, if this checksum of your RAR file doesn’t match up then it’ll result in CRC error notification. Sometimes, no matter how many times you try, you won’t be able to access any of the contents from the WinRAR file. In order to repair corrupted or damaged RAR file you should use a professional RAR repair application. The tool has many advanced and outstanding features such as free demo version, ability to repair severely corrupt / damaged RAR files, preview repaired RAR archive, operating system compatibility, 24 / 7 technical support, virus free, etc.